October | 2012 | Keep It Up, David! My family was in town recently, for what turned out to be a really wonderful weekend. We headed down to Anaheim and did the whole Disney thing. 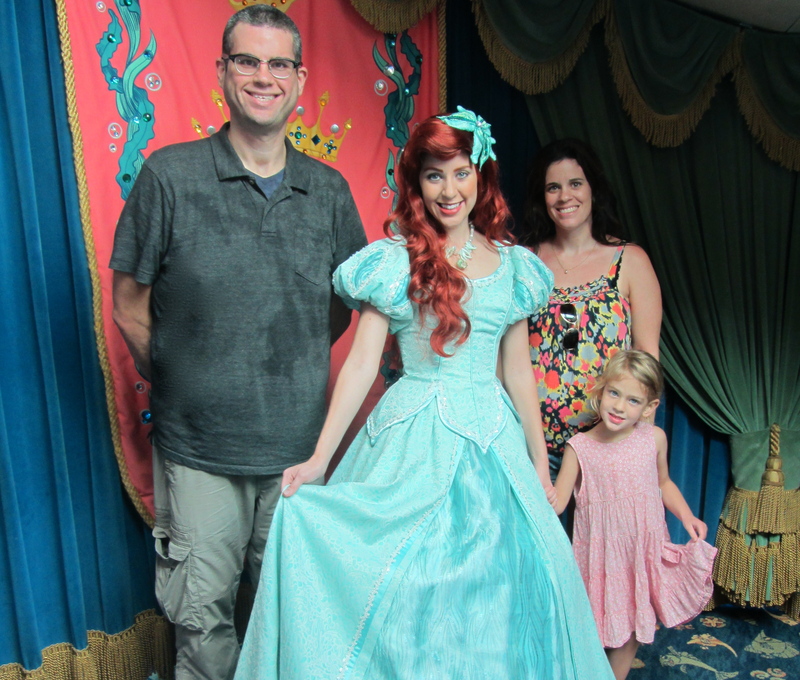 It was my second time in each of the Disney parks, and it was a really fun and busy time. And even though the family has long since returned home, I can’t stop thinking about my four-year-old niece, Allison. At first, I considered titling this post “Shafted by Schmidt” – which will make more sense after you read what follows. Ultimately, though, I decided to focus on the positive. And I have a lot to be positive about! Wanna see more pictures? You can see ’em in my post recapping the race, which you can find here. 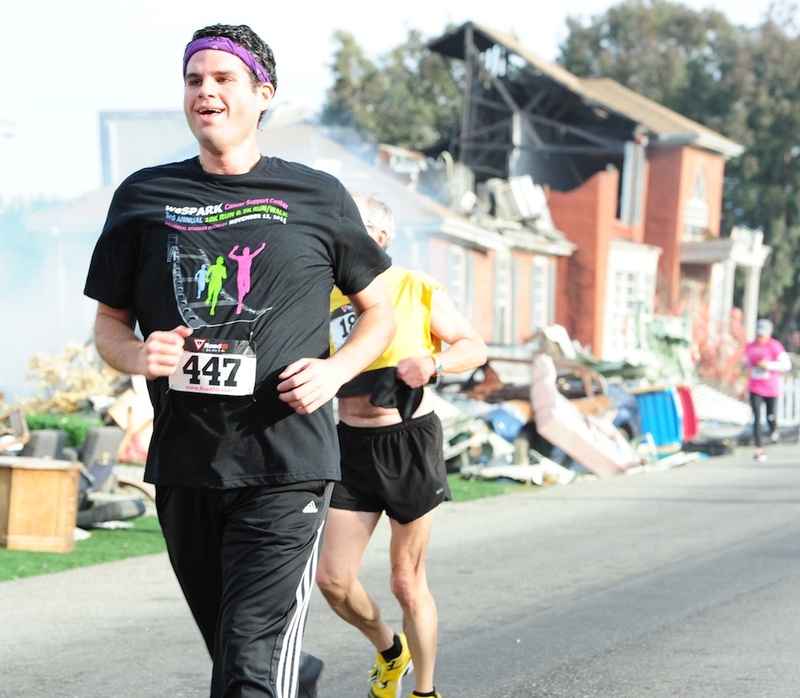 Running that 10k proved to be an emotional event. It was the first official fitness-related challenge that I attempted after losing over 160 pounds, and to this day I’m still proud that I accomplished my goal of completing it without stopping. It turns out that recap post inspired a lot of people, including the folks at weSPARK, the charity that organizes the event, because a few weeks ago, I got an email from Nancy, the Executive Director, that stopped me cold. Literally. Some good news is that I’m feeling better than I was last week. That’s thanks to a pretty good week where I ate well and managed to work out 4 times (huzzah!). Plus, I have something new to focus on that will help with my exercise, and that’s invigorating. I can’t fully divulge what I’m up to, as it involves a big, exciting announcement that I’m not allowed to announce yet, but it involves running, and I have a lot to say today about running. I’ve been trying to focus on the positive the past few days, because it regards to my eating and exercise, it hasn’t been a fantastic few days. I delayed this post a day so I could include the results of my October 1st weigh-in. Let’s see what the ol’ weight loss chart has to say, shall we? Up three pounds. That’s five pounds that I’ve gained over the past two months. No bueno. 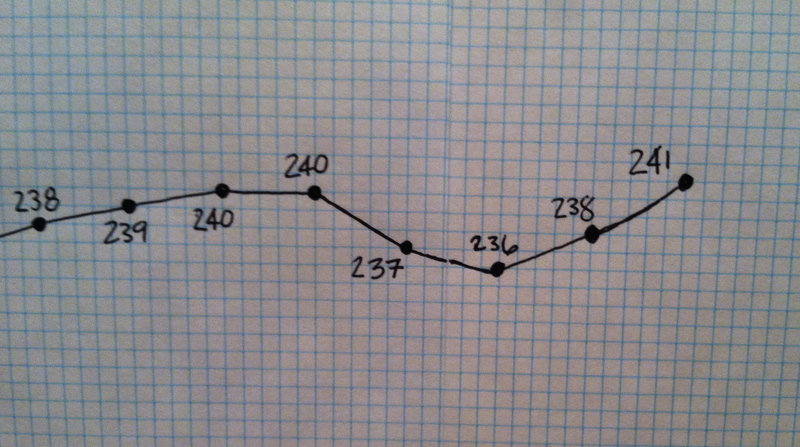 And here’s the crappy part about having a weight loss chart… it only took me approximately 15 seconds to realize that this is the heaviest I’ve been in about 18 months. The last time I weighed 241 pounds was March 2011. You are currently browsing the Keep It Up, David! blog archives for October, 2012.